Turning off lights, unplugging appliances and avoiding standby mode are great everyday energy-savers, but it's time to take the eco-warrior act even further. These handy household hacks will help you save money and the environment with minimum effort - a win-win all round. It's easy to keep track of how much extra cash you're accumulating with our free money management software. With Money Dashboard, your monthly bills are shown as a section of the pie chart, alongside your other expenditures, so expect to see this segment shrink once you've tried our tips. Turning down the brightness and contrast on your TV screen will help your body as well as your budget. Not only is this better for your eyesight, but according to HDTVTest.co.uk, this small change could also save you a whopping £100 a year on your electricity bills. It can even improve picture quality in some cases, meaning binging on your favourite shows has never been so guilt-free. If your house has a chimney that you're not using, block it up. Don't worry, you don't have to brick over your decorative fireplace. You can stop heat escaping just by capping your chimney at the top, or inserting a special inflatable chimney balloon which can be easily removed later. Quick and cheap, these solutions keep heat in the house, allowing it to warm up quicker so you can turn your heating off sooner. It can be tempting to just dump the dinner plates in the machine while you settle down for a rest, but this is a quick way to waste money. 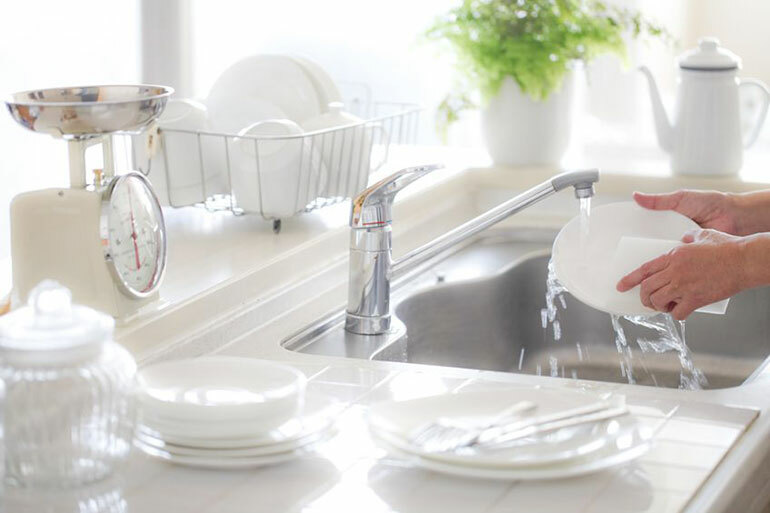 Don't run your dishwasher or washing machine unless it's full. This saves water and electricity, immediately reducing your bills. There are also long term benefits, as fewer, fuller loads are less likely to cause wear and tear on your appliances, meaning they'll need replacing less often. While many people were initially sceptical, energy saving light bulbs have come a long way since they were first introduced. Now you'll find reasonably-priced designs that are just as bright as the regular sort, but better for the environment and your wallet. Each bulb can save you up to £3 per year, which might sound like small change but adds up when you consider how many lights you have in your home. Many of us don't think twice about flicking on the heating on in our homes, but putting a bit of extra care into your decor means you can go without this expense for longer than you think. Use thick drapes to insulate rooms, and make sure all windows are sealed against drafts. Wooden doors can morph over time, so replace them for a perfect fit that keeps the heat in. Modern power showers are great way to wake up in the morning, but they can actually use as much water as filling a bath. Eco-shower heads aerate water, giving you the same wake up call while using less water and electricity. If you're still unconvinced, tests by Which? indicate that a £25 shower head could pay for itself within a year.